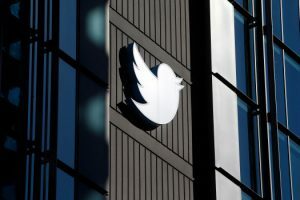 Twitter Inc.’s plan to turnaround the microblogging site may not take as long as first thought. The company posted a drop in revenue for the quarter for the first time since going public during 2013, but its sales of $548 million came in higher than the $509 million estimated by analysts. Shares at Twitter were up by 13% during early trading Wednesday. Prior to Wednesday, the stock had dropped by 10% during 2017. Another positive sign was user growth. Twitter has attempted to reverse a trend of a slowdown in user growth on the site, where people use short posts about things that are happening. The average active monthly users were 328 million during the first three months of 2017, which represented an increase of 6% over the same three months one year ago. The number of daily Twitter users has increased at a clip that is faster each quarter for the last 12 months, said company officials. Twitter is planning to use its momentum, combined with ad pricing that is better and improved investment returns, to convince its marketers to dish out more on advertising. Twitter is still expecting revenue growth to lag audience growth during the remainder of 2017. As the company struggles in defining its future, it is facing competitors that have faster-growing and larger user bases, such as Facebook, Instagram and Snapchat, which just went public during the first quarter of this year. User growth, said one analyst, could be the first indicator revenue could recover, but he continued by saying it will be difficult given Twitter’s competition. The issue for investors is when will things become less worse, he concluded. After failing to sell itself last year, Twitter now want to prove it is capable of going alone and reaching profitability before the end of 2017. The company has made cuts of late selling its Fabric developer business to Google, then shutting down Tellapart its ad tech business and cutting some of its ad product plans. Earnings for the first quarter, excluding specific items, were 11 cents per share, which were far ahead of analyst estimates of 1 cent. Twitter announced that some of the work it has done to improve the product like showing more relevant tweets on the top of timelines, had brought in more visitors to its service. It efforts to curb harassment and abuse have led to a drop in reports and of blocking users, which Twitter described as making meaningful progress.